This page contains short member introductions and collaboration testimonials from our growing EduHack Network, who represent universities and other organisations that are committed to use the EduHack Online Course and toolbox to run courses and/or EduHackathons for academics or teachers. If you would like to become a member, please fill in this application form. The Association HVC is a professional Association of Slovene Higher Vocational Colleges on the national level. 47 members (94% of all Slovene HVC institutions) all providing EQF level 5 as private or public providers. They offer 31 programmes in 28 locations across Slovenia (120 ECTS). Our members do not only provide higher vocational education programmes, but also contribute to the field of applied research and professional studies as well as directly to the development of local communities and regions. Our specifics are the 40% of curricula that are provided as an in-company work-based learning and the teaching staff requirements demand up to date professional experience and knowledge from the field of work as well as pedagogical and andragogical competencies of our teaching staff. In doing so we ensure up to date theoretical training at the college and monitored and guided in company placements with certified and qualified mentors. The Media & Learning Association has been set up to promote and stimulate the use of media as a way to enhance innovation and creativity in teaching and learning across all levels of education and training in Europe. Since it was launched in 2013, the association has grown and now has 26 members in 12 countries. The University of Latvia (LU) is a state-run university located in Riga, Latvia, and it was established in 1919. The University of Latvia offers undergraduate, graduate, and doctoral levels of study and more than 14,000 students, including PhD and exchange students. The university consists of 13 faculties. The Centro Educazione Media (CEM) is a non-profit organization, founded in 2007, and its members are professionals working in different educational sectors: psychologists, digital learning experts, teacher trainers and communication experts. Furthermore, CEM collaborates closely with the Department of Psychology of the University of Pavia in Italy. A group of digital education experts of CEM is working on the development of an education platform to support the teaching and learning process for children and teenagers who experience an extended stay in a hospital or are taught at home because they are unable to attend classes at school. Associattion HVC is coordinating a project, ApprenticeTrack – Smart Electronic System for tracking Apprenticeships, creating a monitoring and measurement system for apprenticeships, a technological roadmap for apprenticeship management, a course on apprenticeship management and a prototype beta-tool which will help companies to easier understand learning competences under framework of business skills, give students a better understanding of their position and more opportunities for improvement, gather data on results and volume of apprenticeships, strengthen understanding and meaning of international mobility of placements, help with continuous improvement within PHE institutions, present apprenticeships as a meaningful learning experience, provide proof of learning outcomes, influence increased motivation for students, promote the benefits, support digital transformation in PHE institutions, improve connections with business chambers, and through them with companies, present learning outcomes at the core of apprenticeship experiences. 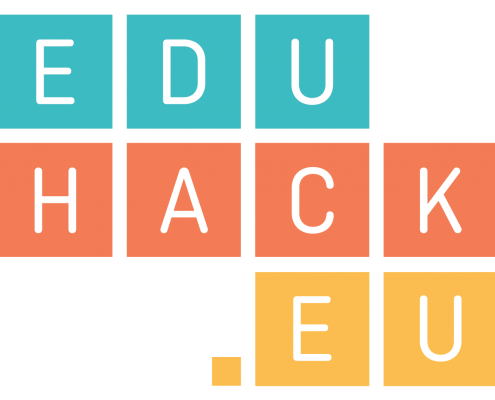 In order to successfully test our prototype tool with a diverse group of stakeholders – from companies through PHE administrators to students – we would like to organise a full day hands-on event on the model of the EduHackathons. Technology has become the key to a new world of education. Online learning/e-learning has become one of the most popular ways of gaining access to an education and UL is keen to improve its studies in this regard. The training proposal of the Eduhack platform, especially the didactic paths of the sections Digital Resources, Teaching and Empowering Learners, meet the same educations goals that CEM wants to promote thanks to the Hospital School platform. The integration of the teacher training program of Eduhack into the CEM platform would offer to the Hospital School teachers in Italy the possibility to train themselves in a professional environment, which is continuously being updated and is academically acknowledged by experts of the digital teaching and learning sector.